Can you guys believe summer is almost over; I know for some of you it already technically is with kids going back to school, but here in New Jersey, we have two more weeks left. We decided to end our summer at our favorite place; you guess right, Disney. 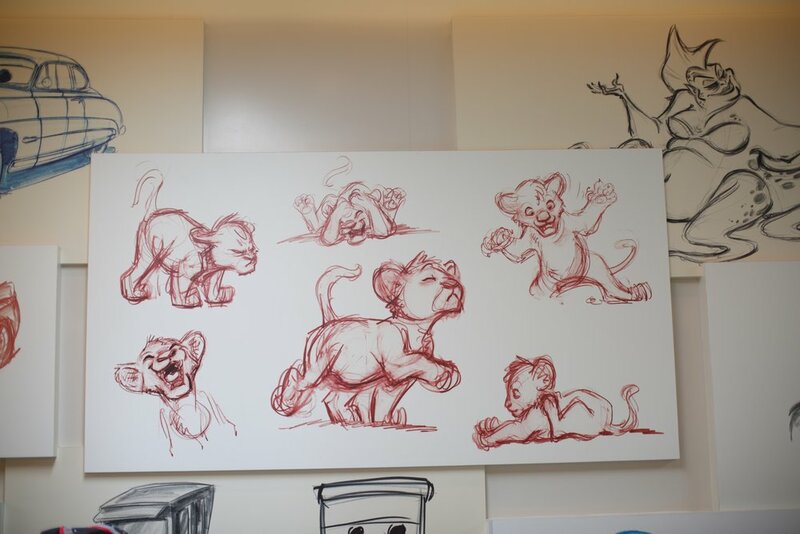 Before we head to Florida, I figured I share all about our stay at The Art of Animation. Back in April, we had the opportunity to stay at The Art of Animation Disney resort. I have previously stayed at a few of Disney's resorts but never this location, so I was super excited to see what it had to offer. As soon as you walk into the lobby, you're immersed with artwork of your favorite Disney characters. Ayden is really into Lion King, so he thought this was pretty cool. There are four sections of the resort; Nemo, Cars, The Lion King and The Little Mermaid. We stayed in the Car's section of the resort. I loved that the rooms all tied into the themes, and the kids loved it even more. "Two more pools—Cozy Cone Pool, inspired by the Disney•Pixar film Cars, and Flippin’ Fins Pool, featuring the “Under the Sea Orchestra” conducted by Sebastian from The Little Mermaid—are also available to Guests looking to cool off." Serving breakfast, lunch and dinner daily, Landscape of Flavors features 5 different options of food. We ate here everyday and the food was great. Disney really knows how to make sure their guest are all satisfied. Overall the experience was amazing and I would highly recommend this resort to anyone looking to show their children the magic of Disney. Once again we will be heading back in two weeks and I can't wait to share where we are staying next.